Focus Mitts are great to work on your distancing and timing. A partner or trainer will hold the mitt while you practice and you can focus on your developing skills rather than worrying if you will hurt someone. There are a myriad of types, sizes and qualities when it comes to mitts so it is worth shopping around before deciding which one is for you. Shields are a vital addition to your training session. 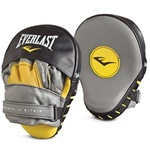 They are a cross between a heavy bag and focus mitt and will help you with endurance and conditioning. They allow you to work on your kicks, punches and strikes and to train with an opponent but protect you both and are completely mobile. Shields are available in a variety of shapes and sizes. There are body shields, kick shields, arm and forearm shields and strike shields. 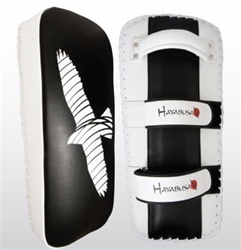 The Thai Pad or Shield is a staple for Muay Thai training. Shields are available in square, round or oblong, come in sizes of small to very large and are made straight as well as curved. There are lightweight shields as well as those that are more dense. Choose according to personal preference and according to the purpose you need one for. Whether you are in the market for one or all of the targets and shields, you can read more about them and check out my reviews on many that I have available. 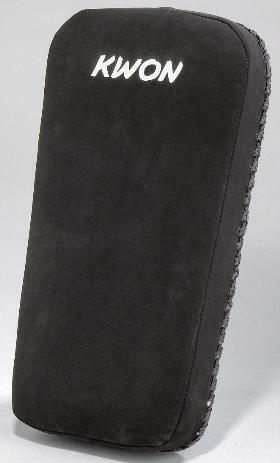 The body shield is very helpful in training a partner. You can have your hands free and work your partner. It is also more comfortable for the holder. To find good body shields just check out our page on Body Shields. Focus mitts remain a vital component to training for MMA striking. There is some confusion regarding the value of training with punching mitts. In general, this is due to hobbyist group class environments where effective training programs are not employed. When a knowledgeable trainer is holding the mitts, the ability to get the most out of them is enhanced. Read about the beneifts of focus mitts and where to find good priced mitts. Focus targets help you hone in on your kicks. They work well for flexiblity and timing. 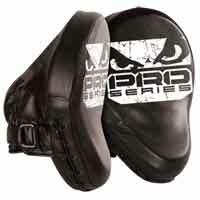 Thai pads originated in Thailand for use in the sport of Muay Thai and now they have been integrated into the world of MMA. 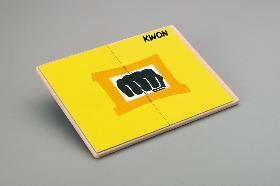 The purpose that they are used in MMA is essentially the same purpose that they would be employed for Thai boxing. Read all you ever wanted to know about the muay thai shield and where to find good priced shields. 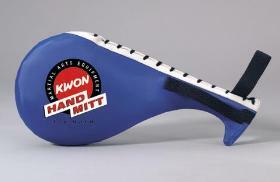 Also see our article on why you should use thai pads for MMA in place of or in adddition to focus mitts.